we live in a beautiful area, on the "Côte d'Azur", near Monaco and the italian border.Even in Paradise, trees grow too big, and weeds have to be trimmed! 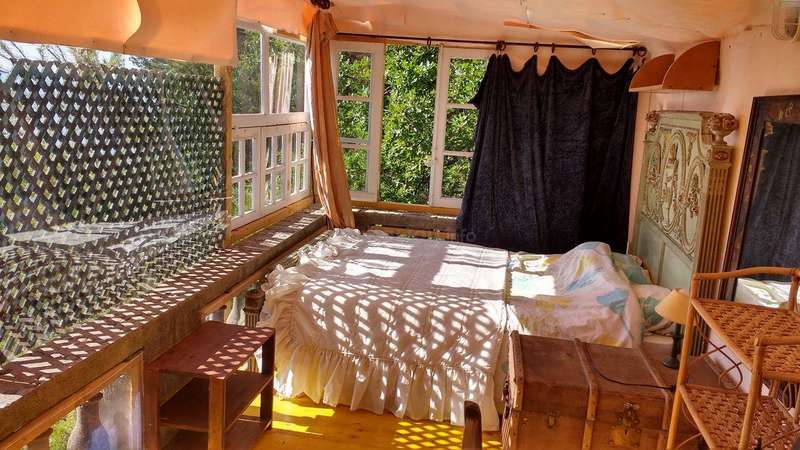 it is mostly for gardening that we need help,but also to maintain cabins built some time ago; we are a group of friends of various ages and origins,living on different spots of the property.I wa a teacher of French for foreigners,and could help you improve your French. all the tasks of keeping a big garden in good shape are so more pleasant when accomplished in joyful teams! 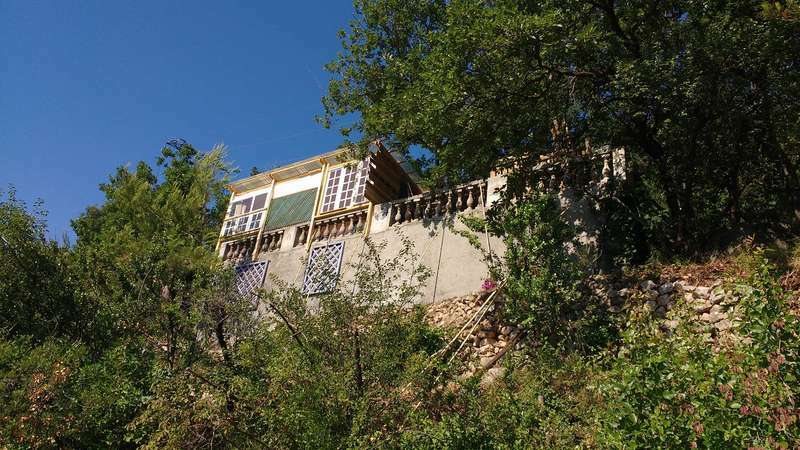 English,a little German,a little Spanish..
We have different cabins or units with a lovely view on the Mediterranean sea and the old village of Roquebrune..the house, an old villa from the beginning of the century,is situated at 5 kms of Monaco,10kms of the italian border. I regret that we cannot accomodate vegetarians, as it is too difficult to prepare vegetarian food as everyone here and most workaways eat meat. To get to the old village of Roquebrune or to the town of Menton you need to walk a little bit. Brigitte hosted me few weeks ago. It was my first workaway experience and probably I chose the best host to do it. She hosted a lot of workawayer before me and she remember every single one. I was surprised by the energy of Brigitte, her way of thinking, her determination. Was nice to speak with her, expecially about something that she love: her… read more family, her friends, the theatre and all her trips around the world. I will remember her and her cute granddaughter. I stayed a month at Brigitte's places. First at the Côte d'Azur: the view from the terrace is breathtaking even after seeing it many times! There are many nice trips you can take around, beautiful views on the sea and the mountains, with nice stairs :D Monaco is roughly an hour on foot. We worked between breakfast and lunch, around 5 hours,… read more sometimes a bit more. I was mainly sanding and painting windows, and smaller tasks like carrying some rocks or sweeping leaves from a roof. The delicious meals & cakes were prepared by Brigitte, and she made some quiche (yummy!) even when she wasn't there for dinner. There are some peculiarities like the water heater and washing machine can only run during the night, and the cabin is not bug-proof. But the weather was warm even in October and I only went there to sleep, so it was nice. Brigitte was also kind to let a friend of mine stay with us for a weekend and treated her like part of the "family"! The house in Burgundy is also nice in a different way. It's quite big, and contains many many interesting objects and nicely furnished rooms. The countryside was beautiful in the autumn, and we could take the bikes to try to see some châteaus. I was sleeping in the attic which was a bit cold, but in a nice warm bed. Work was cleaning bushes, collecting firewood, and cleaning in the house. What a treat it was to meet Brigitte. She is extremely well read, has travelled around the world, and also lived abroad. She had a fascinating and somewhat unusual professionnal life, and it was a joy to hear stories about it. This is truely a "full house", as Brigitte often hosts up to 5 workawayers at the same time. You will never get bored… read more here, as there is always someone to talk to. As mentioned by everyone who was lucky enough to come to Roquebrune-Cap-Martin, the sea, the flora and the climat are spectacular. I will always remember walking up and down the steps to go to the beach. What a fun workout it was. Brigitte took the time to ask about my previous work experiences, and gave me a very inspiring sewing project to work on. My only regret is that the Côte d'Azur was a very late stop in my journey. I wish I could have stayed longer, and kept going with my project. This was a very VERY memorable workaway experience, one I certainly would like to repeat. Brigitte, ce n'est qu'un au revoir ! Alors, à bientôt j'espère ! Anaïs is more than true to her description, she is not only energetic, she is inspiring and spreading energy around her! 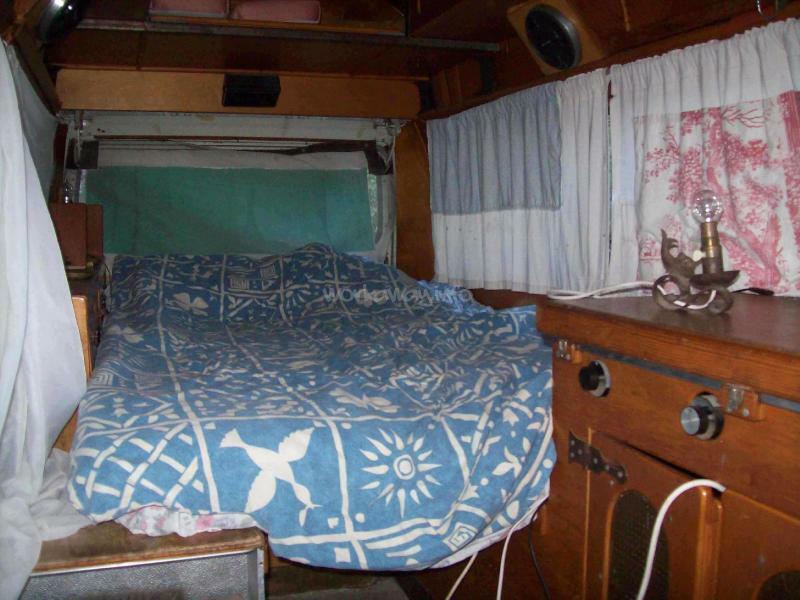 she did such a wonderful professional job with the renovation of our camping car, and of one of the cabins, that it is a great pleasure just to go there and admire what she did! Anaïs is full of charm, easy to leave with, always… read more ready to laugh, and to admire the beauty of nature. I recommend warmly Anaïs to all hosts, we will miss her a lot and hope to meet her again soon! thanks so much,dear Anaïs, for all you have done here! I believe that the opportunity and experience that Brigitte provides volunteers with is a kind of its own. The property on the Côte d'Azur is just amazing. I will forever remember having breakfast at the terrace while a fiery sun rises and you see all the different colours of the sky and the mediterranean sea as far as your eyes can see. There are… read more more things to do than you will have time with, so you will never have to worry about lack of activities. There are many interesting characters living on the property and i immediately recieved a warm welcome from everyone. Brigitte, the other volunteers and the renters. Many interesting discussions took place every day and i am richer in knowledge than what i was before i arrived there. Can't forget to mention all the delicious meals that Brigitte cooked for us. The month that i spent here will be a vivid memory of mine for many years to come. Thank you Brigitte and all the best in the future. 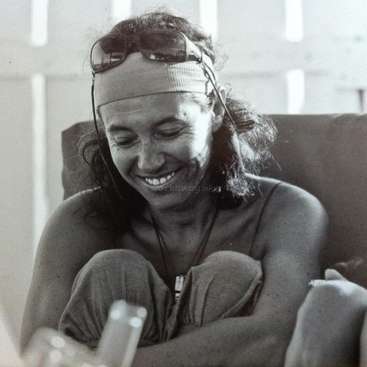 I spent just under 3 weeks with Brigitte in her beautifully situated house on the French Riviera as my first Workaway experience. My work included restoring old windows and some gardening and she encouraged us to work in teams which made the tasks more enjoyable! 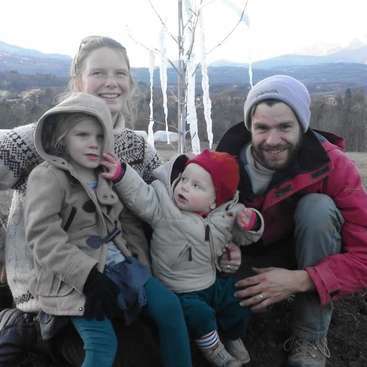 Living with all the other workawayers, renters and Brigitte made it feel like a… read more little family and there was always a vibrant atmosphere in the house :) We often spent the nights having discussions in Franglish or playing cards. Brigitte cooked some incredible food and had some inspiring stories to tell about her life. The location of her house is spectacular, I will miss the morning ritual of breakfast with the sunrise. There are lots of things to explore in the area. Close to Monaco, Menton, beaches, buses/trains to Nice, Ventimille and Grasse, a beautiful town called Sainte-Agnes and the historic Roquebrune cap Martin. I also particularly enjoying hiking up the mountains and feasting my eyes on a view. Amelia is a wonderful young girl full of life and energy, it has been a pleasure to have her for her first workaway! she is enthusiast in various fields, ready to discover all the beauties of the area, even if it means long walks, and ready to fulfil all the tasks demanded by our different projects, weeding, sanding, painting..etc both with… read more efficiency and good will. I warmly recommend Amelia to any host, and am very grateful for all the work she did in our place! Dora stayed with us only a short period of time, but enough for us to appreciate her as a charming very energetic young person, with a great helping ability, and a wonderful sense of humour. She accomplished with good will all the tasks demanded, and was nice to everyone in our group. Thanks for everything, Dora, and good luck in your travels! Dear Danielle, thanks again for all your help! We miss you, you did so much, and made all the tasks look easy with your good mood and your smile.. And even during your short stay in Burgundy, you managed to be wonderfully helpful with the plums harvest, and solving the problems with my computer. Very best wishes! I stayed in Brigitte’s for 15 days in August (2018) and I enjoyed a lot this period. I had the chance to meet a lot of people (workawayers, renters, visitors and Brigitte’s family) and everyone was always very friendly with me, if you want immersion in a french culture with nice people and… read more interesting conversations, take the chance. My tasks were mainly gardening and even if sometimes it was hard to work in the sun we Always had the pool to refresh, the delicious meals that Brigitte prepare for us (Excellent cooker and person) and the lovely view of the Mediterranean sea. In my free time I had the chance to know some beautiful cities in Cotê D’azur like Nice, Menton, Éze, Cannes , Antibes, Cap D’Ail (La Mala beach). To take the bus(or train) to go other cities you need to walk down/up the hills but after sometime you get used to it. I also had the chance to know her home at the Burgundy countryside, even for a short period. I would like to thank you very much Brigitte for everything, I already miss all the great meals, interesting conversations and enjoy my breakfast looking at the sun and the Mediterranean. Karl is a wonderful young man, with a gift for organisation, a great patience, and a strong will. It is great to start a project with him, he immediately find solutions for the rising problems, and brings the task to its end without failure. In the time with us, he has achieved several missions and we are so grateful to him. Always in good mood,… read more it is a pleasure to have him at home and his smile brings joy around him. Kart, we wish you all the best in your new adventures!! I really enjoyed my stay with Brigitte. 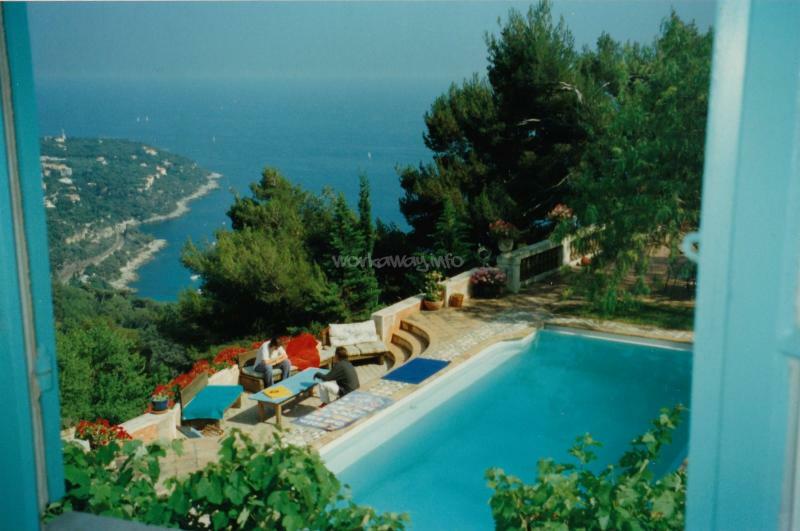 Brigitte has a large property with a pool and stunning views, very close to Monaco. There were some interesting projects I got to help with. It was a great place to meet lots of interesting people and immerse myself into the French culture. Her family are lovely and welcoming, and I would highly recommend… read more staying here. I look forward to visiting Brigitte when next I return to France. Irem is a great artist, and that does not prevent her to give herself completely to the tasks demanded by a big garden! she has proved very helpful and very nice in all opportunities. Both independent and enjoying the team, her strong personality makes her a very special person whom everybody appreciated. Thanks a lot for your help Irem, and I… read more have great hopes in your future. I enjoyed a lot my stay with Brigitte, she is such an inspring woman, i feel lucky to get to know her. The tasks were mainly gardening and not so tiring. Since she is such a nice and thoughtful person whenever she saw me that i was tired, she told me to stop and have a rest, eat something, drink a cup of something. The house is perfect with it’s… read more view, nature and the people. It’s located in the hills so it was a bit hard to go out and come back but once you get used to it, everything’s fine! It’s close to Menton, Monaco, Éze, Cap d’ail, Nice.. Thank you again for everything, hope i’ll get to see you and have nice chats again someday! Daniela has been a pleasure from the first day, she is ready to help in all tasks demanded, ready to learn about weeding the garden, and really enjoyable to live with. It has been a short stay but enough to hear her happy laugh many times. I recommand her to hosts, she is a really nice team worker. Very best wishes from us! - if you are an outgoing person, it is hard to reach Monaco or other cities, villages, because of the long walk, going up and down on the route. The house is on the hill, so if you would like to go everyday to a bigger city, or having a party, it will be complicated. - the people are nice, the work is easy, the atmosphere is… read more amazing. I am greatful to this possibility. - I modified my workawayer plans, stayed not so long, but if you have questions, I am ready to help you. Rebecca and Amanda have helped in all the different tasks with great efficiency, and always in good mood! I am very grateful for all they have done, from moving an enormous heap of fire wood to planting lavender, and I can recommend them to any host. thanks a lot, dear you two, and come back whenever you wish! Great stay with Brigitte! After hosting so many workawayers, she is a wonderful host happy to share the French culture and many stories. The location is simply amazing! We couldn’t have asked for a better time! Thank you Brigitte! Csenge is a delicious young girl, both self sufficient and nice company. She shared our family life to our great pleasure, fulfilling willingly all the different tasks, (from weeding the garden to making concrete)including sciences lessons to the young Olivia who enjoyed it. We… read more highly recommend her to any host. I spent six great weeks with Brigitte and her family. She has so many interesting stories, smiles, useful tips and energy, which make her a perfect host. I visited her property in Burgundy too, it was different, but also very nice, more calm and familiar experience. The working hours were clear but flexible, the tasks suited me, the meals were… read more delicious, the house was pretty and well-situated…. I could warmly recommend this place to anyone! (who likes stairs :) ) Merci encore, bisous! Maksim is the perfect workawayer, ready to help with good mood, and good ideas, taking the projects at heart and bringing them to their term! he was here only a short time but managed very well! willing to improve his French, he is studying seriously and is amazingly fluent for someone who started so recently to learn the language all by himself.… read more he is very nice company, and I recommend him highly to any host.Thank you, Max, hope to see you back one day! John has been wonderfully helpful. When he arrived, he asked what different projects were on, and teasing him, I gave a long list of all that I hoped to realise in the next months. But nothing is impossible for an Irishman, and in his short stay he managed to fulfil all the tasks! Nothing more to do, then? for the pleasure of having him back, I… read more might create new cabins! To all hosts: John is the best workawayer you can imagine, you can trust him to achieve all tasks perfectly.He takes a real interest in the problems you may have in a house, and finds solutions of his own. He has a rare gift for fixing dry stones walls, and has cut enough wood for a whole winter. Thanks so much for your help, John, hope you'll walk back your steps one day! Is there a more energetic, inspiring and warm-hearted host in all of Provence? I doubt it! 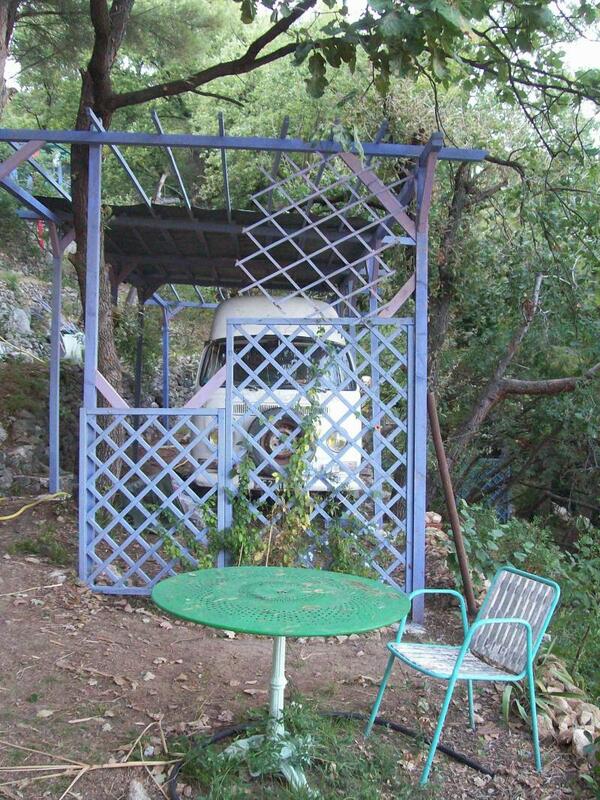 Spent two enjoyable weeks at Brigitte's wonderful place overlooking the blue Med. Had a range of work to choose from. Took care of a few projects. Met lots of people including Brigitte's friendly family members; children and grandchildren. Bye until another… read more time, perhaps. Ce sera sera. Merci pour tout Brigitte, really miss the kids, hope to see you again in the future! I've spent two amazing weeks with the host and now every time I'm drinking my coffee I'm missing the picturesque morning view of the French coast. Brigitte is such an interesting, cultured and hard working woman full of anecdotes and caline smiles. And if you're a passionate reader or an actor, you'll be fascinated. I'll miss our insightful talks… read more after each delicious meal followed by sweets and my scars from work, bleeding everywhere haha. I really appreciated Brigitte's positivism and lack of lamenting, even though she had some bad days. There is always something to work on and even though it may be challenging sometimes, the environment and the people make it all worth it. I miss all the workawayers and I hope I'll be back soon! Bisousssssssssssss!!! I spent about 3 weeks here and it was a real amazing experience at a beautiful situated location with great views. Brigitte is very hospitable, a good cook and she has a great sense of humour. After a short while together with her and the other volunteers I felt like a member of a family, we had interesting conversations,… read more enjoyed the food and played cards. The work was challenging and interesting at the same time, I helped mainly with simple construction work, sawing, working with wood and some gardening. Thank you for the good time and I hope to come back once! Chris is calm and tall, two qualities that prove very useful when you are working on a project like ours which is to build a sort of veranda on the side of the house! he has been a great help, and became a master of the saw! thanks, Chris for your tenacity and your quiet smile. Hope to see you back here soon. This was my first experience with workaway and it was absolutely wonderful! This location is breathtaking and the meals are amazing! Briggitte and her family are lovely welcoming people and I could really feel at home in her house. The other workawayers and people living on the property were also a joy to meet and talk with. I stayed for two weeks… read more and I learned a lot. 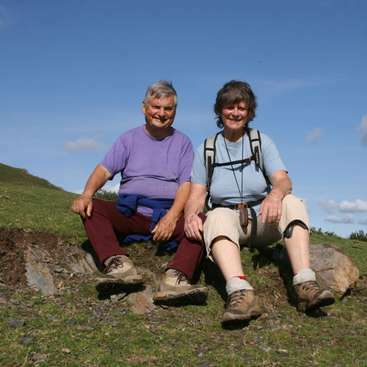 I also worked hard and it was rewarding, Brigitte has abundant energy and lots of ideas so staying with her was an awesome, unique, eye opening experience I also had many opportunities to see and enjoy many nearby towns. Definitely recommend! Merci beaucoup Briggitte, I hope to see you again in the summer. thank you again for the great experience that includes a wonderful location, delicious food and lots of different people who were nice to meet. I enjoyed the work outside in the garden and the nice weather, too. Aswell as playing cards. I hope you will finish the yoga cabin as soon as possible and I wish you a merry christmas with… read more your family! I spent two weeks at Brigitte’s beautiful place with all its interesting people. The work is sometimes hard, but interesting, and it really boosted my energy. Which was good, because the area had so much to offer. From the city life of Monaco, Nice and Menton, to nice walks and swimming on the beach, as well as mountains to hike. Brigitte has so… read more many stories from her interesting life, and I admire her hard work. She also takes really good care of everyone and makes the stay highly enjoyable! From the very first moment we met at the station, it has been a pleasure to host Jayn and Thomas.The deep laugh of Jayn, the caring gentleness of Thomas make everything easy; they devoted to our project to build a cabin around huge old windows, and left to themselves as I went away for4 days, managed to settle the frame for the future yoga studio!… read more they are wonderful workers, changed completely the look of the little road in the property, by cutting the hedges, planting lots of bulbs, pruning trees, raking the sides, so that it is much more welcoming. I warmly recommand Jayn and Thomas to any host, their mere presence is a pleasure. Working with Brigitte was my first workaway experience and it was great! Brigitte has endless stories that almost match the number of people that are constantly in and out of the property. I was constantly meeting new people from all over the world, whether they were other workawayers or people that lived at Brigitte's house in Roquebrune Cap… read more Martin. Her family is also very gracious and I spent many meals with them. There is always lots of work that has to be done, but it varies by season I primarily raked leaves, planted bulbs, and helped cut away tree branches. Merci beaucoup Brigitte! Lovebly people, lovebly place and such a nice experience, they treat me so well and makes me feel lucky to be there , since I arrive I felt like home , like part of the family , thanks a lot for those two weeks plenty of new experiences, games , and really good food , thanks Brigitte for your hospitality and a big hug for all of yours… read more here! Gracias y Pura Vida ! Maria was the most gentle and nice person helping in every task during work hours and in the free time as well. She has a gift for cleaning, and we can recommand her warmly to any host. Dear Maria, we wish you all the best and hope you come again! Let me add one more rapturous feedback to this collection and express how extremely lucky i feel to have had a chance to spend two beautiful weeks in this heavenly place with the most wonderful people who have been like a family to me. Everyday was full of events, emotions, new experience, nice conversations and lots of amazing views! I am so… read more grateful to you, Brigitte, Roland and everybody for sharing all these moments, miss you incredibly and hope to see you again. I just spent two amazing weeks here. It is an amazing place with the nicest people, always welcoming and inclusive Brigitte is the kindest host always making sure we were happy with the work etc. There are always people coming and going, so there is always someone to chat to and improve your French! The views from Brigitte's house were amazing and… read more the house itself is beautiful and always filled with the beautiful music played by Roland or Baptiste on the piano The work was hard sometimes in the heat but as soon as we were finished we were rewarded with a delicious meal prepared by Brigitte, and then we had the rest of the day to explore the area. It was a real pleasure to host Sam,a smiling gentleman, who was always agreeing to all the various tasks we found to challenge him! and even if it was sometimes something he had never thought of doing before, he managed to respond to our demands: like undoing the nails in old wooden boards, or preparing ciment to make a sort of pavement with… read more pebbles, or even making stone little walls to keep the soil for plants, or trimming the hedges, all that in the sunny heat of Côte d'Azur! Cher Sam, nous espérons bien te revoir et que nous parlerons ensemble en français uniquement. We warmly recommand Sam to any host., he is really eager to fulfil the task you need his help for. Amitiés and best wishes. This was my first workaway experience and it turned out to be a great choice! From the very first minute I was welcomed by everyone I met there and made to feel like a member of the family. I did find the work tough at times but Brigitte was always sure to check that we were happy doing the tasks she needed doing, and I now feel I'm slightly more… read more capable with DIY than I was when I arrived there! I went for French practice and my level of French definitely improved over the 2 weeks, as everyone made an effort to have a conversation with me in French and correct my mistakes! Thank you to Brigitte and everyone and I'd love to return some day! Mariel and Nacho were immediately part of the family, and eager to help not only during the work hours but also with all the little tasks of everyday life. They courageously braved the difficult stairs of our garden, and of our surroundings! were part of the team of the building of the new cabin:"Castle Cookie", and we hope they will come for the… read more cabin warming drink when Steven will consider it finished! They invited us to share with them the delight of their Maté, necessary to recover after an effort and I loved it. We highly recommand them to any host. What else can we add to this profile? The more than 90 amazing feedbacks (and counting) that these wonderful people have talk by themselves. It is really hard to find something that hasn't been mentioned yet! We felt like home since the… read more very first time we set foot in that wonderful house. It is impossible not to smile when remembering our time there. The three weeks we spent here were full of chess competitions and crazy but always very interesting debates and talks with Roland; card games after dinner; Briguitte´s amazing meals, ping-pong with Didier; lovely moments with Anne and her family; sometimes hard but always enjoyable work with the other workawayers; among many many other things. Briguitte, personally I would like to thank you for being so comprenhensive and patient with me, and for taking care of my leg by giving me nice and easy tasks (I hurt my knee some weeks before arriving there, so I was forced to walk slowly and I could not bend my leg properly). Kate is the most energetic young person I ever met! very good at organizing everything for the best, extremely efficient in all the tasks even when they were quite new for her, learning quickly and keen to know more. She is a pleasure to host , nice to talk with on every subject and giving an example of how making the best of a sejourn in a… read more foreign country, everyday finding interesting things to do, places or friends to visit, all that by herself, not afraid of long walks or stairs!! A real pleasure to have her , hope to see her back!! I had the best time staying here. The place is beautiful and the people who live there are some of the nicest people you will ever meet. Thank you so much for the adventure Brigitte and Roland - hope to see you again! Wen is a wonderful person always smiling and so eager to see everybody happy around her. At work with great efficiency, and after work cooking for us a delicious carry, or a wonderful cake! Playing cards with good mood even when the score was not in her favour! We were sad at her departure but we know that wherever she is, she will bring joy… read more around her. We hope to see you back here and recommand you to any host. Brigitte, Roland, and everyone else living in Brigitte's wonderful house has been extremely welcoming since my first day of arrival! I stayed for about 2 weeks in Brigitte's place and I love everything about workawaying here! To me they are not hosts, they are my family in Cote dázur. We did different tasks everyday, from gardening to painting to… read more repairing the huts around the house, as Briggite always make sure we don't get bored doing the same task everyday. There is always so much to see and do around the house and the fantastic views from the house makes all the work worthwhile and you won't feel like working at all! Brigitte cooks delicious meals and she is always so caring and sweet to us, and care for our well being. She and Roland and everyone living in the house are really wonderful people and I was so sad when it's time for me to leave. I would definitely come back again, Brigitte! You are a true joy to be around with and I love you all! This experience is a really magical one and I treasure every moment I spent in this place. Bisous! Till we meet again! Bonjour Brigitte ! Thank you so much for the nice words. Staying at your place for just one week was way too little amount of time! I really loved staying at your beautiful place and I have a lot of great memoires from my days there. Brigitte was my second WorkAway-host and so far, she and her lovely château has been the best place I have been… read more visiting! I can warmly recommend Brigitte to other WorkAway’ers. The amount of work is fine and she is a brilliant cook and teacher if you are interested in improving your French! I hope you, Ronald and all the others are fine and I wish you all a good summer! À bientôt ! Christian is always keen on helping, always fulfilling to the best the tasks demanded by a big garden, always with a smile! he has been a most gentle guest, and we regret him! we can only warmly recommand him to any host! we will think of him gratefully when our potatoes will grow in the place he prepared with great care! All the best Christian,… read more and thanks for your help! Alex has been a great help both in the South and in Burgundy, doing with efficiency all the tasks demanded by big gardens! his great strength has certainly been appreciated many times: he moved big trunks in Burgundy and solved many little problems by putting things in order with a good push! Thanks for your help, Alex, and do not forget that you… read more are welcome back! Mikke has been very helpful, both in the South and in Burgundy, eager to do the best possible way all the various tasks demanded by big gardens! he is a young man of many talents, playing the piano, taking pictures and making films, and a remarkable card player! It has been a pleasure to host him, and we recommand him warmly. Maria has been immediately like a dear friend on visit, eager to help in all the tasks of the house as well as the ones in the garden, where she proved both patient and very efficient: thanks to her, we have lots of seeds saved for next plantations! and she is great company, having so interesting things to say about life in her country, and very… read more good at card games (one she had never played before!) where she astonished us by her so good memory! always happy and smiling, Maria is a wonderful person to host and we recommand her warmly! come back to our sunshine whenever you feel like, dear Maria! Thank you Brigitte so much for hosting me for a week! one week was too short for me! I really like everyone here and the scenery around the house! Brigitte's house is just amazing. She, Roland and other workawayers are very nice. The cuisine she made was very delicious, and the work to be done everyday was just the right amount. It allows you to… read more visit around after work. I wish I can stay with Brigitte again in the future! I highly recommend her to the other workawayers. it was a pleasure to host you, your soft personnality is warm and attaching. I recommand you to any host, the tasks were fulfilled with good mood and cleverness, and your company is very agreable.I wish you all the best and hope to host you when the weather will be more to your taste, so that you can enjoy our Summer heat!! The time I spent with Brigitte was great! It was a bit too cold for me, since I am from a very hot place (Brazil), but everything was beautiful! Brigitte is a great host and was always concerned about my well-being.The help was not difficult, since I was with another workawayer and we spent all the time working together in the garden and talking… read more about our countries. I only spent two weeks there, but it was worth every minute of it! Thank you very much, Brigitte! Cormac has been a great help in all the different tasks suggested: cutting trees, cleaning bushes, repairing cabins and roofs, even making a wall! ( first time for him) remaking a path which had become a heap of soil, and so much more! and he taught us some card games which we enjoy playing with the new workawayers!! ( a good opportunity to think… read more of you, dear Cormac!) I recommand Cormac to any host, he is reliable and very good company. A bientôt, j'espère cher Cormac! I wish all the best in the future to Brigitte and her ever growing family: Janet; Roland; Anne and her family: Jérôme, Elise and little Camille; Baptiste and the list goes on..
Fatima est une fille formidable qui a tout de suite compris l'esprit de la maison, a été appréciée de tous pour sa bonne humeur, sa gentillesse et son efficacité. I warmly recommand Fatima to all hosts, all the tasks suggested were done perfectly, in no time and with always good mood.Her nice energy is communicative, and she is a joy as well for… read more babies as for grandmothers!! Dear Fatima, we wish to see you back soon! thank you for all you have done! Tout d'abord, je tiens à m'excuser pour les retours très tardifs. Je suis restée avec Brigitte et compagnie à pendant le mois de décembre. L'endroit était incroyable, près d'un vieux village et juste en face de la plus belle vue que vous puissiez imaginer. Depuis le premier jour où je suis arrivée, je me sentais heureuse et la bienvenue, j’ai… read more fait savoir à Brigitte que j’avais un besoin urgent d'apprendre le français et elle a été très persistante à m'encourager même si je n'ai pas parler du tout. C’est une grande cuisinière et dans quelques occasions elle a partagée avec moi sa connaissance de la cuisine. Le travail était d'aider à nettoyer le jardin et réparer les fuites dans les toits de la cabine, rien de difficile. Elle pouvait également être très flexible avec les horaires. J'ai passé un merveilleux moment à rencontrer la famille, les amis, les hôtes et autres workawayers pendant ma visite. Merci de partager avec moi vos connaissances qui m'ont fait grandir de tant de façons! We warmly recommand Sebastian to any host!!! sebastian has helped us wonderfully, always with a strong and smiling energy, which pushed the whole group to the realisation of tasks which without him may very well have remained unfinished!!! he managed to trim nicely lots of trees which were starting to hide the blue mediterrannean sea from the… read more table where we have breakfast every sunny morning, and we are grateful to him for the quotidianly renewed pleasure!! he made a nice fence for the rabbit garden, and improved so many places in the garden..
and he honoured my cooking by never allowing leftovers! thank you sebastian, all best wishes wherever you go! The work is well balanced, hard sometimes and light another times, also Brigitte is flexible enough to give you another task if you don't feel comfortable doing something. Normally we worked in the mornings until lunch, and the rest of the day is free to enjoy the beaches and explore the area. The guest rooms are comfortable enough and with privacy. I spent 2 weeks at Brigitte's place in October and it was one of the most amazing experiences of my life. 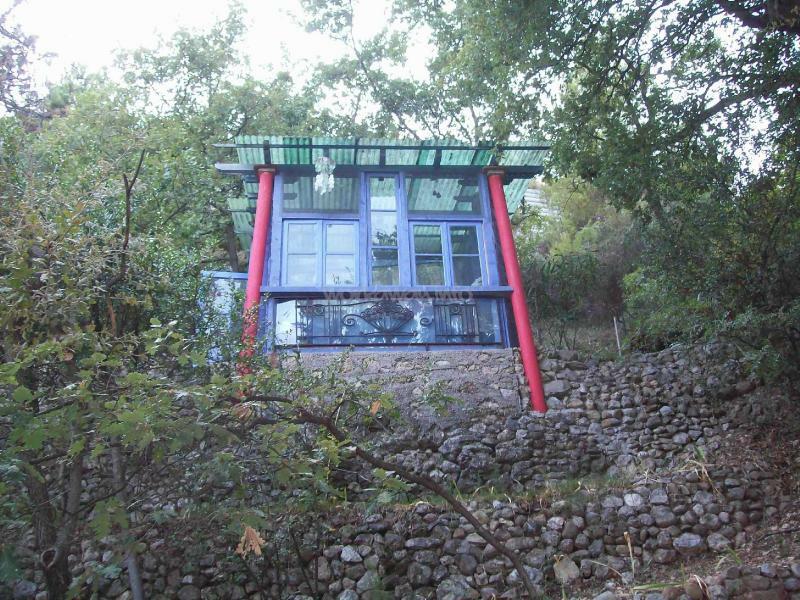 The house is situated in a beautiful location overlooking the Mediterranean and there are gardens and mountains all around. Brigitte is a very kind host and makes everyone feel right at home. There is a wonderful sense of community at her… read more house between her, other workawayers and the few tenants who live on the property. The balance between work and leisure time was perfect during my stay as we were able to accomplish a lot but still have plenty of time to explore the surrounding towns and beaches. I would highly recommend this workaway to anyone. Brigitte was the most wonderful host! Her home is located in the most stunning location, right on the cliffs overlooking the mediterranean sea. She was an amazing cook, and always prepared delicious homemade meals for us. The work was very fair, and we only ended up working 3 or so hours a day! Since I was there over thanksgiving time, Brigitte… read more went out of her way to make sure myself and the other American volunteer would feel right at home, and bought us all the stuff to make a homemade thanksgiving dinner at her house!! I hope one day I will be back to visit again in the summer, even though it is still such a beautiful place no matter what time of year! Thank you again for everything Brigitte! Allison was not long with us, but we enjoyed her nice energy and her lovely smile with great pleasure, and recommand her warmly to the other hosts! Thanks Allison, we wish you all the best! steven is a wonderful workawayer, always smiling and in good mood, enjoying being helpful in all sorts of different fields, dedicated to the projects proposed: making a door, insolating, a cabin from the cold, another one from the rain(not a full success in case of heavy rain, now almost a swimming pool), helping to dig and secure a ditch to… read more repair cars,etc.. very serious in his interest in learning French, he spent his leisure hours studying his books, and the result was there: I'm not sure that you realize yourself, Steven, how much better you speak and understand! what is needed now is a prompt return!!! I can highly recommand Steven to any host , but I would much prefer him to come back to us!! !Thanks for everything, Steven et j'espère à bientôt!! it has been wonderful to have you coming to join us, the whole family so helpful and entertaining, it is a real privilege to meet such an enthusiastic team! your passage will be remembered for a while, no doubt, by the garden which has been completely renovated thanks to you!! we have wood ready for the winter and decorations for… read more Xmas! and more than that, we have the souvenir of the joyful laughs you shared with the other workawayers! Thanks so much for all you have done, take care, I warmly recommand all the members of the family, individually or in group, to any host!!! If there is be more than excellent, I would definitely choose it! You hosted the 5 of us so warmly! 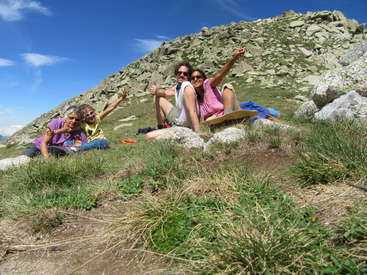 We had such a funny time also with all the other Workawayers (hope we will meet again, guys!). Work was not too easy, but always fun and satisfying! You are the most positive thinking person we ever met! Thank you! Everybody… read more should make such an experience! We are going to come back to you! My stay at Brigitte was my third Workaway and it was just the best decision I could made. When you arrive and see the house with pool and the beautiful view on the sea your just very impressed. Brigitte is a very lovely and friendly person, always happy and open for a conversation. Brigitte asked me at the beginning what kind I of work I would… read more prefer. Due to my passion for wood she offered me different oppurtunities to work at. I had really a lot of fun there! I met her family, we made a boat trip and there are many interesting people living in and around the house, so you never feeling bored. ;) I learned how to play Backgammon, Brigitte is a good teacher! Now I can't stop playing it... :) It was definitely not my last stay at Brigitte. I could highly recommend this place for any Workawayer! Alan has been a wonderful help, not only in the tasks asked for, but in every little problem occuring in an old house! he dedicated himself to a nice arch for the vine to run on, and to the reparation of a derelict roof of a parking spot, which threatened to fall on my car any minute. Everyday we'll enjoy walking through Alan's arch, and parking… read more under the new roof! Thank you so much, Alan, for the wonderful job you did here! hope to see you again soon.I highly recommand Alan to any host!! Dear Brian, you have been wonderfully helpful in such a short time, managing to cut a lot of grass! we are happy to have had the opportunity to meet you, you are a great boy, and we wish you all the best, and hope to see you back if you come around Nièvre or Côte d'Azur in the future! I only stayed a couple of days with Brigitte but it was definately worthwhile. The work was all gardening, mainly cutting the grass in Brigitte's huge garden but i'd imagine the work could change depending on the time of year. Work was only about 3 hours in the morning and rest of the day off. The room was very cosy and comfortable and Brigitte's… read more meals were lovely. Also a perfect place to improve your French. Felipe did not stay very long, but we certainly cannot forget him and his charming smile! he is always in good mood and ready to help in all ways. He was immediately part of the group, and we had great fun both while working together and in the time devoted to leisure! we highly recommand him to any host, he is capable and efficient in work, and… read more of very nice company! we wish to welcome him again!! I stayed at Brigitte's place for 12 day in august 2014 (actually i'm sorry for taking so long to leave you a feedback) and it was great. The house is huge, with a nice pool and very kind people. About the work, we used to start every day (week-end not included) about 9am working in the garden or building something (is lasts about 4 hours), then… read more after we were free to enjoy then beautiful sea of Côte d'azur or just relax in the pool. Fortunately Brigitte used to take us, when possible, to know around (cities, beaches), but when she couldn't we went by walking to the main city, Menton where we have beaches and buses to other cities! I totally recommend to stay there! If you want to practice your french or just relax and know some people, it's perfect! like Mary Poppins, she is a fairy, she is able to reorganize a whole house (in great disorder) cleverly to the satisfaction of all users! She is a phenomenal worker, accomplishing many tasks in no time, and ready for more as soon as one is finished! Do not trust her delicate slim beauty, she is… read more extremely strong, we call her "Miss muscle"!, and it is her we call for anything heavy! Most of all she is a sweet kind hearted person, full of attentions for all the people, children and animals around her, we loved having her with us, we had great time with her and recommand her warmly to any host! Thank you so much for your help, Keely, we wish you all the very best! Anne Bibi, est une jeune femme délicieuse, qui a le goût de faire plaisir à ceux qui l'entourent, faisant comme en se riant un travail phénoménal, et trouvant l'énergie de nous surprendre par des recettes savoureuses! Tout de suite à l'aise avec tous, elle dégage une aura chaleureuse de sympathie. Elle manque à notre petit groupe et nous es)pérons… read more beaucoup la revoir bientôt. J'ai passé trois semaines merveilleux chez Brigitte en Bourgogne. Avec plein d'autres workawayers sympa, du travail varié, des jeux, des histoires, des rires, des moment agréable pour un thé ou un apéro, des bons repas et avec beaucoup de choses que j'ai appris mon workaway était une petite fête. Brigitte est une hôtesse chaleureuse au grand coeur… read more qui te laisse sentir tout de suite à l'aise et comme partie de la famille. Aussi merci à Alain, toujours avec des bonnes histoires et blagues (et son chat mignon: Titi)! J'aimerais revenir, sois en bourgogne, sois en Côte d'Azur; ce n'est pas le lieu qui fait l'ambiance mais des personnes autour de toi! Chères Eliane et Seraina, ce fut un grand plaisir de vous retrouver aussi délicieuses et charmantes qu'à votre premier séjour, et j'espère que vous reviendrez souvent dans l'une ou l'autre maison, que vous connaissez bien maintenant! Vos personnalités se sont délicatement affirmées, et c'est avec grande amitié que je vous embrasse bien fort,… read more ainsi qu'Alain. Notre deuxième séjour avec Brigitte, Alain & Titi et les autres workawayers était aussi merveilleux que le premier! Nous avons passé un temps de bonheur en Bourgogne. MERCI! Bisous aussi à Roland qui n'est malheureusement arrivé qu'après notre départ. Denis est un homme plein d'énergie et de joie de vivre, il a le charme canadien, le parler canadien, et le goût canadien pour le sirop d'érable et le beurre de cacahuètes!! il aime à faire connaître son pays et à partager ses vastes connaissances en tous domaines: il est d'une activité débordante, d'une extême serviabilité, d'une gentillesse… read more chaleureuse,et ce qui ne gâte rien, est doté d'un bon sens de l'humour! Nous avons eu beaucoup de plaisir à le recevoir, et espérons bien le croiser à nouveau dans le Midi!! Toutes nos amitiés, cher Denis!! Brigitte nous a reçu moi et autres workaways avec beaucoup d'attentions et générosité. Ce fût un réel plaisir de travailler et de partager de beaux moments avec elle, Alain, l'homme d'une grande débrouillardise et les autres workawayeuses... Je ne peux que recommander Brigitte et vous souhaiter de côtoyer cette grande dame au grand coeur! Hi there! i'm so sorry for leaving my feedback so late but i forgot about it! I spent 2 weeks in August there and for all the workawayers out there: this is one of the best places you could go and i'm so happy that Brigitte chose me to spend some time à la maison! 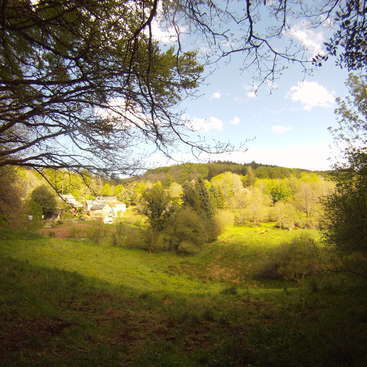 Work wasn't hard (mainly gardening or working in their beautiful property) and the… read more place is BEAUTIFUL! Such a great view and just half an hour from the beaches or cities if you feel like visiting them. I got on well with all the other workawayers and never bored myself there. Brigitte is an excellent cook, very sweet and understanding. ( even when we messed up with the paint ahah). I already miss you, Roland, Alain and Titi !! as well in the garden, where they fought against weeds, as on the terraces where Gigliola dedicated herself to repainting all the columns, with a great success! the whole house seems refreshed after the efforts of the team they were part of! We… read more recommand them warmly to any host! We spent two beautiful weeks here, good company, good food, and a great view. Brigitte is a really nice host, with a big knowledge and a lot of interesting stories to share. We would totally recommend this little paradise as a workaway experience. Hope to see you again! Arrivederci! We were so happy to receive Katie and Alex, from Australia. They are a very charming couple, Alex has lots of knowledge in every field, and was very willing to become more efficient on a basic level of handcraft! he proved a fast learner, and Alain is proud of his assistant, both in his capacities of quick ability in doing carpentry,… read more masonry,plumbery, etc.., and of learning the names of all the tools in French! Alex surprised us all by the speed with which he learned French, he was a very serious student, writing down new words and reading his book of grammar. Katie was a great help, ready for every task, with her smiling elegance.We wish the very best to you both, it was a great pleasure to know you. You will be remembered here! This was our first workaway experience and we were very impressed! It was exactly what we were looking for. Brigitte and Roland were excellent hosts and we were made to feel at home from the very first day. The work was both challenging and interesting and we learned a lot of new skills. Brigitte is an amazing cook and we always had plenty to eat,… read more and great people to enjoy meals with. The property and location is simply amazing. We had a fantastic view from our cabin and from all over the property in general. Thanks for everything Brigitte and Roland! Peter is a wonderful person, always cheerful and so helpful! we cannot express our gratitude for the way he devoted himself to the garden and to the whole property, doing much more than was asked, trimming the trees with great care, and participating in all the tasks of everyday life in the house. He became so much part of the family that we feel… read more a great loss without him and hope that he may return to our home!! we warmly recommand him to any host!!! Best wishes from Brigitte, Roland and his dear friend Alain! The south of France is a beautiful part of the world and Brigitte makes Workawaying there a truly memorable experience. I spent three terrific months doing a variety of jobs and was given plenty of time to enjoy, and feel a part of, the local community. Brigitte is a kind, caring and thoughtful host who regularly compliments volunteers on their… read more work and when needed provides valuable constructive criticism on how to improve. I really learned a lot and would recommend this Workaway to everyone. Harold and I had a terrific two weeks with Brigitte, Roland and Alain. C'est un peu par hasard que tu es arrivée chez nous: le hasard fait bien les choses! nous avons été ravis de t'avoir, toujours si positive,( et acharnée dans ta lutte contre le lierre!) joyeuse et rieuse de ton joli rire en cascade. Avis aux hôtes potentiels: Marie Lou est super! Merci pour tout! J'ai bien savouré mon temps chez vous! Vielen lieben Dank auch an Roland für Eure Gastfreundschaft!!! Great people in a great location. Could not ask for a more perfect workaway experience! What a pleasure to meet everyone and would love for another opportunity to return! Carl and Tessa were not here for very long, but they have been the most agreable volunteers, always ready to help, very efficient, with so many good ideas for our garden, and always cheerful and smiling! we recommand them to any host! Best wishes, dear Tessa and Carl, it was great to have you here! Kim and Andra stayed only 4 days, but they are enthusiastic girls, have managed to do a lot in such a short time, and are of very good company! we wish them the very best in their travels and life! Jeanne is a wonderful person, very attentive to please others, always the first to help in all the tasks of the house and the garden, full of knowledge in many fields, and creative in artistic ways. Thank you, dear Jeanne, for all your help, you are greatly efficient, we wish you all the very best !! hope to see you again here, we miss you… read more already. you have been wonderful, always smiling and happy, so helpful in all the tasks ( like fighting the ivy and the thorns!) and such good company! We highly recommand you to all hosts, we miss you and wish you all the best in the great adventure of your travels, hoping that your road will one… read more day bring you back here! Mattias has been an excellent volunteer, taking his work very seriously, and always ready to help in the tasks of the house. We have prepared together a vegetable garden and fenced it against the voracity of the chickens, he has fought victoriously against ivy and thorny weeds, and carried heaps of them to the fire. He speaks several languages… read more with elegance and precision, and proved to be a very nice companion in our group, ready to talk and laugh on every subject. We wish him all the best in all his travels around the world. Mon séjour fut tout sauf solitaire. L'ambiance familiale qui y règne nous réchauffe le coeur à la manière française. Brigitte, Roland, Alain et Titi sont formidables. Comme Brigitte aime en faire la remarque, vous apprendrez à tout moment de la journée sur la culture, l'histoire, le jardinage, les langues, mais aussi à vous connaître vous mêmes.… read more Je recommande cet hôte à 100%. Tout de mon expérience fut positif: nourriture excellente, logis magnifique, amis géniaux, endroits à visiter extras. Lorry Ann est un rayon de soleil, toujours prête à rire et à nous charmer de son joli accent Canadien, elle est d'une gentillesse pleine de grâce, et très efficace dans toutes les tâches que nous lui avons confiées. C'est un grand plaisir de la connaître, et nous la recommandons très vivement!! I fell in love with the Cote D'Azur and all the people who inhabit it. Brigitte and Roland provide an amazing French experience for people who wish to try a taste of the French culture. I not only gained fluffy sides from brigittes meals, but also knowledge of many DIY skills. My jobs would vary from day to day. One day I would be assigned… read more cleaning the library, then the next moving heavy boulders to help construct several new walls around the property. So If you'r not intimidated by hard jobs, this is an amazing location to work. I was also lucky enough to be part of a large group of other workawayers, all varying from different places, who made my time at La Salitude even more enriching. So don't expect to be alone :) One note to add, if you are seeking to improve in your french it would be very helpfull to have a basic knowledge of french before arriving. Personally I found with all the work and things toi do in my off time, it was nearly impossible to have lessons from brigitte or Roland. Who were understandably busy with their own plans as well. So unless you have a basic knowledge of french and are somewhat conversant, this might not be the place for you if you are a complete beginner. Other than that I feel if you go into this with a "go with the flow" attitude, Roland and Brigitte will provide you with and truly unforgettable experience. Merci Birgitte, Roland and everyone else at La Salitude. Brigitte and Roland were the perfect hosts. There home is full of life and many interesting internationals characters. They are both among the truest, most sincere, and generous people I have met. Their lives are fascinating and both have deep knowledge about any topic. I very much liked my little cabin and I thought the meals were filling and… read more amazingly delicious. I was there during the summer and did things like trim trees, clear brush, plant flowers, help finish the final cabin. I really appreciated they trusted me to start projects on my own and never criticized me. Thank you Brigitte and Roland! Merci, Stan, pour ta gentillesse, ton rire homérique et ta force colossale!Tu nous as beaucoup aidés et nous avons eu grand plaisir à faire ta connaissance! nous espérons bien te revoir bientôt tu manques à tous! nous recommandons Stan à tout hôte, il est inégalable pour bouger de lourdes pierres ou manier la tronçonneuse avec entrain! Thanks,… read more dear Stan, for your help in moving enormous stones and cutting huge branches! thanks for your good humour, we miss the sound of your laugh!we all hope to see you again! Amitiés!! Merci Brigitee pour fair mon premier experience de workaway tres inolvidable et en niveau inrepetiable. Etait 100% come en famille avec cuisine delicieux,. Moi sentiat comme en peinture "Dejeuner en Provence". Merci beacoup aussi a Roland pour conaissance et entend profonde et inengagée de politic. Tres charmante de vous connaitre et merci… read more beacoup pour mois dans paradise. John has been wonderfully helpful, gentle and attentionate to everybody,and we are very grateful for all what he has managed to do for us, doors and a good deal of insolation in the "villa bis", roof for the wood shed in Opio, climbing in trees in order to help the others to cut some branches, digging the terrace in order to save our water tank… read more invaded by huge roots ,always ready to give a hand in all the different tasks, always with a smile or a laugh! thanks for everything, come back when you wish, we will always be happy to enjoy your visit! Odette is a lovely friendly and warm person, always ready to smile or to laugh! it was a great pleasure to welcome here ,where she immediately knew how to help me best in all tasks ,either in or out of the house. she was never afraid of hard work in pruning the bushes even if they had thorns!! we miss your enthusiasm, dear Odette, and recommand… read more you warmly ! Un endroit de rêve que je recommande et surtout l'hospitalité et la gentillesse de Brigitte .....! Je me suis senti tres vite comme chez moi. Brigitte est une hôtesse remarquable, a l'écoute qui aime les gens et qui exprime facilement la gratitude pour le travail effectue. Merci Brigitte pour ton accueil chaleureux et ton amour.....!! Brigitte… read more is so kind, flexible and considerate. She made me feel at home and I really enjoyed spending the time I was there with all the other helpers. With Rolland we had some stimulating conversation as well and it was really fun to be with you all. Thank you very much, I will be back...! Philippe n'a pas demeuré longtemps parmi nous, seulement 4 jours!, mais ce qu'il a fait nous donne de la joie chaque jour! merci pour la taille du poivrier et de l'avocatier, ils sont si beaux maintenant, et merci pour les bribes de sagesse que nous avons retenues, et pour ta gentillesse.reviens du bout du monde, le temple t'attend! et nous aussi. Eliane et Seraina ont été deux charmantes fées, d'une gentillesse et d'une efficacité étonnantes: vous leur demandez de dégager un tronc d'olivier du lierre qui l'envahit, quand vous revenez les voir, elles en sont au cinquième! et ce sont des oliviers plusieurs fois centenaires et d'énormes lierres...et les deux soeurs magiques sont toujours… read more souriantes, ce fut un grand plaisir de les recevoir, plaisir que nous espérons renouveler! Brigitte et Roland ont un coeur grand comme l'océan. Nous avons tellement apprécié notre séjour chez eux, qui était trop court. Notre première expérience workaway n'aurait pas pu étre meilleur! On s'est senti très à l'aise. C'était inoubliable. Merci pour tout! Warren unfortunately was here only very shortly, 3 days!, but we want to thank him for all that he managed to do in such a short time.He is very gentle, and really nice. Merci Warren, pour l'électricité près du lit!! A bientôt j'espère! This was my fisrt volunteering and it was great! Briggite is very organized and alive! She has a lot of energy! Roland always has something interesting to talk about! I loved the meals at the dinning table and the stories we shared. Merci tous pour une expérience merveilleuse! Sarita est une fille merveilleuse, c'est un privilège de la rencontrer, et nous en sommes heureux! elle a une énergie au travail et une gentillesse naturelle inégalables, c'est avec regret que nous l'avons vu repartir mais nous espérons bien la revoir!!! Mike is a wonderful young man, and helped us greatly with his skills in carpentry! he built a great part of our "temple"! and is full of energy and joy, a gret diver too!he was the best show in the swimming pool! Mike, it starts to be a little cold to swim but you certainely would if you were there! we miss you and you are warmly expected to… read more return one day! C'était notre première expérience de Workaway et elle n'aurait pas pu être meilleure. Brigitte et Roland sont vraiment sympas et on se sent comme une partie de la famille. Le week-end ils nous ont montrés beaucoup de villes et plages magnifiques ce qui était absolument gentils d'eux. Le jardin est énorme, donc il y a toujours quelque chose à… read more faire. On travaille ensemble avec les autres workawayers et le travail est varié. Nous avons construit par exemple une toilette sèche ou nous avons fait le jardinage. Tous les midis et soirs on mange ensemble et Brigitte prépare des plats délicieux. 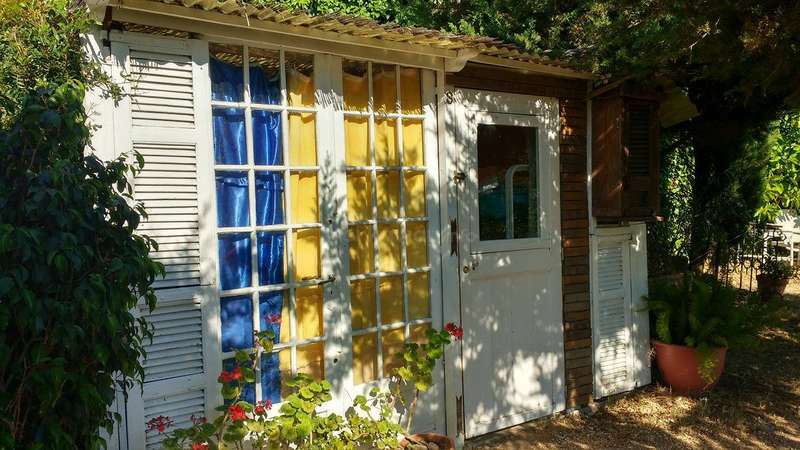 Ce qui concerne le logement il faut dire qu'on habite dans des jolies petites maisons qui se trouvent partout dans les jardins d'où on a une vie magnifique sur le Cap Martin. Nous voulons revenir absolument ! Merci bien pour l'hospitalité! Brigitte and Roland were fantastic! They ferried us all around the local area, showing us the beaches, mediaeval villages and of course, Monaco! Brigitte was a great host and always prepared fabulously tasty food for lunch and dinner. Roland's historical knowledge is second to none and I really enjoyed our conversations together and of course,… read more the Petanque 'tournaments'. Their villa is in the hills, with wonderful views of the beaches below and swimming in the pool after work felt oh-so decadent! The work was well organised and Brigitte always varied our tasks to keep things interesting. I really can't thank them enough for my little glimpse of the weird and wonderful, rarified world of Monaco... I will miss them both. We had a great experience with Brigitte and Roland. Our stay was too short but nonetheless they made us feel like part of the family. It was nice to have the freedom to make each project our own, giving us a lot of room for creativity. 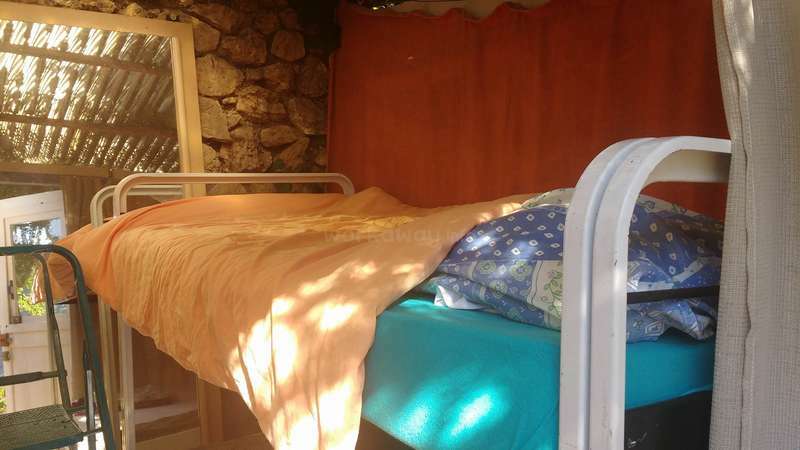 The accommodation, food and conversation was great, and it was really nice to take a dip in the pool after work.… read more Given the chance I would love to come back to Cap Martin and help out at the property again, and explore more of the area. As a first experience ever of Workaway, we were very happy to start with Brigitte! We learned our French well, because everybody who was there tried to speak French and Brigitte always helped us with the language, great! She also prepared everyday a nice lunch and diner for us, and it was a nice time sitting all together with the other… read more workawayers. Working in the garden was great in the heat if the sun with a refreshing jump in the pool afterwards! Around the area it was nice to go the beaches in Roquebrune itself and offcourse to Monaco! Brigitte, thanks for the great first experience! Merci et au revoir! we have been absolutely delighted to have the opportunity to meet such nice people as Stacey and Floris. They are charming, and so efficient that things get perfectly done at a wonderful speed. Stacey and Floris enchanted our little Elise by playing with her and teaching her new movements!now she greets us with her hand ready to clap ours! Chers… read more Stacey et Floris, on vous souhaite le meilleur, on garde le souvenir d'une très belle rencontre, merci! Brigitte was a great host, eccentric with a love for life and easygoing attitude with a bit of hot sauce thrown in. I felt lucky to be there and experience all that Brigitte and Roland had to offer, great food, good company and good people. It was fulfilling work bringing the gardens and cabanas back to life so that they could be enjoyed once… read more again. Brigitte is right in her description, a little piece of paradise. ce n'était pas Lilly, ce n'était pas Joshko, car Lilly Joshko est à l'étranger! mais c'était Ada!.. et David! un charmant jeune couple que nous avons eu grand plaisir à connaître. Ils se sont montrés très efficaces dans notre jungle, toujours prêts à rendre service, et pleins de gentillesse. Nous les recommandons chaleureusement!! bonne route à… read more vous deux, les amis! I stayed with Brigitte and the team for just one week. I had a great time and the area is just beautiful and perfect. There is sooo much to do and to see. When i arrived with a friend at brigittes there were already 4 other workawayers. First we didn'T know that. And then i felt not very comfortable in this constellation. I more felt that i am… read more disturbing them. it was okay, i just did it my way. Then you must want to learn french. They mostly speak french to you(except of Roland)For me it was perfect because i really learned a lot and i am very grateful for that but i just think that people should know this. The accomodation was totaly different from the description! 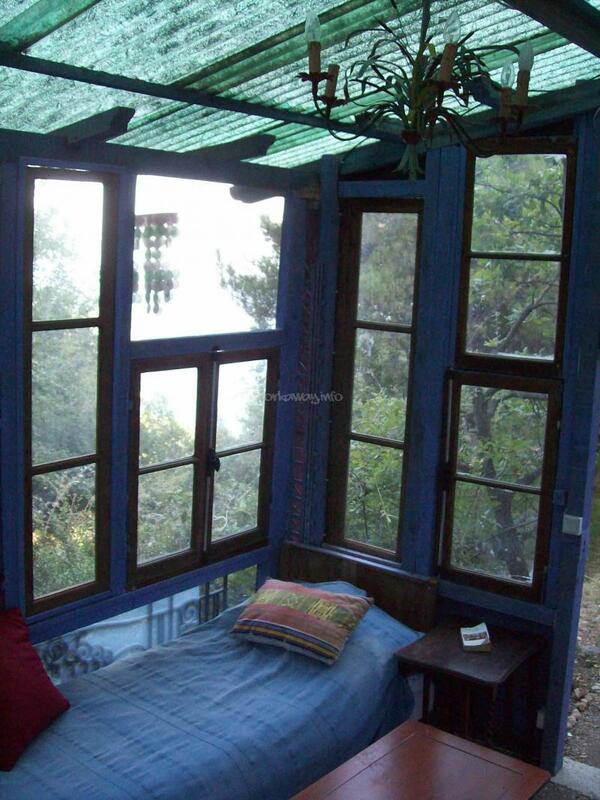 Yeah there is a house with sea view and stuff and it is like on the picture but i slept in a workshop which was not very clean and every morning all the workawayers were in my room to get the tools out and stuff.And my room had to be open during the working times. This are just my experiences and i think i was not the luckiest guy and think the other workawayer were very happy and loved brigitte. This was just my impression. Still i had a great time and to me it was okay. Thanks again and greetings to everyone! Luke est un garçon enthousiaste, plein d'allant, très désireux d'apprendre en tous domaines et amoureux de la langue française. il est travailleur, et le rire toujours prêt à jaillir, en toutes occasions; il s'est fort bien intégré dans notre groupe et c'est chaudement que nous le recommandons! A bientôt Luke!! Brigitte et Roland sont les meilleurs hôtes qu'on puisse demander. Ils sont tellement sympas, et on mange toujours bien! Le boulot dans l'énorme jardin est physique, ce qui est bon pour la santé, et se fait tout ensemble. L'atmosphère est toujours heureuse, c'est impossible de gagner aux échecs contre Roland, et on peut toujours demander de l'aide… read more avec le français. Je recommande absolument et espère que vous aurez l'occasion de vivre avec. Merci bien pour l'hospitalité! C'est une fille formidable, pleine d'énergie pour le travail et toujours prête à rire! elle et Alain n'ont pas cessé de se taquiner, et Kari était un bonheur dans la maison, m'apportant son aide précieuse en toutes circonstances, même pour s'occuper du bébé! merci pour tout, et nous espérons te revoir bientôt!!! It was a great experience staying with Brigitte and all her friends :). It was easy going, relaxed working and enjoyable company all day. For my next employer I would wish to be like her...always in good mood, never complaining, ready to laugh, content with what we've done in her garden and being open to explain and help any time. I really… read more appreciated her way of dealing with me being vegetarian, it wasn't a problem at any time and she served great food. So thanks again for this wonderful time I had as a newbee as a "workawayer"! Stella est une fille charmante, calme, efficace, indépendante,vraiment agréable à vivre, et prenant à coeur les tâches qu'on lui confie.Je la recommande vivement, suis heureuse de l'avoir rencontrée et espère son retour parmi nous à une prochaine occasion! Elle a su se faire apprécier de tous ceux qui l'ont rencontrée, pour sa gentillesse et sa… read more bonne humeur. I spend about 3 weeks at Brigitte's beautiful house. I had definitively a great great time in Roquebrune! We did different things in the big garden, from cutting plants over collecting leaves or painting to pushing an old bus up the hill one day :) I learned a lot and Brigitte is very cool to work with. Also I worked with other workawayers, which… read more was great, too, as they all were very nice! Merci autre fois pour l'experience très bon! philipp est un garçon très agréable, qui m'a aidée énormément dans toutes les diverses tâches demandées par un grand jardin. il est facile à vivre, toujours prêt à rendre service, que ce soit pour déménager des armoires ou ranger la vaisselle! il est cultivé et avide d'apprendre davantage.je le recommande vivement. I spent about 10 days with Brigitte and her friends in the beautiful village of Roquebrune Cap-Martin. She has such a nice place with a huge garden where there is different things to do. The work is very easy going and even for unexperienced people there's lots of things to do. Brigitte is very hospitable and you can learn lots of things from her… read more and her friends. It was my first Workaway experience and It could not have been better.